The Indian men came back into the reckoning for a medal after defeating a strong Holland team 3-1 while the women won 3-1 against Peru to keep hopes alive for a top five finish in the 43rd Chess Olympiad here Thursday. 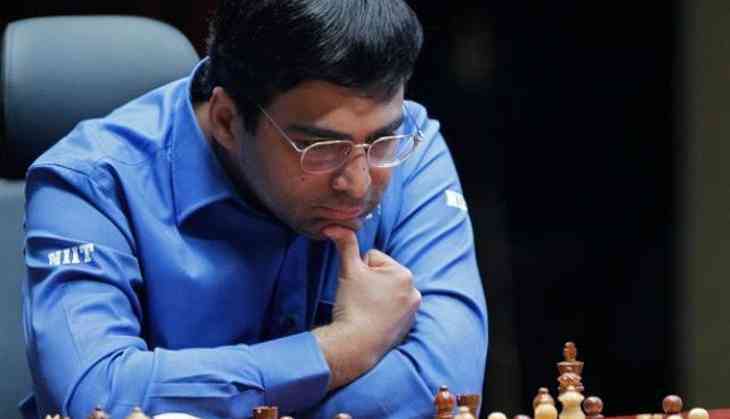 The Indian think-tank finally rested Viswanthan Anand, probably saving him for the final contest Friday as they might still have a chance to hit at the medal depending upon how other results shape up. Krishnan Sasikiran and B Adhiban won convincingly against Jorden Van Foreest and Loek van Wely respectively on the third and fourth board while P Harikrishna played out a worthy hard-fought draw with Anish Giri on the top board. Vidit Gujrathi drew with Erwin L'Ami. A 3.5-0.5 victory might just help in boosting India's chances in the last round. The Indian women's team should have won 4-0 but for a blunder by Koneru Humpy in what looked like a winning position against Peru. Humpy mistimed her tactical finesse and ended on the losing side against Deysi Cori. The Indian men took their points tally to 15 points and they are still hoping for a medal. Much would depend on how the other teams fare on the last round if Indians win. Anand is likely to come back for the all important last round. For the Indian women, the score is now 14 points and only a miracle can see them finish among the top three. Meanwhile in the open section, United States tamed Armenia and Chinese men finally proved their seeding by beating Poland. These two teams led on 17 points apiece. Results India (open): India vs Holland (2.5-0.5 one game remaining): Anish Giri drew with P Harikrishna; Vidit Gujrathi playing Erwin L'Ami; Loek Van Wely lost to B Adhiban, Krishnan Sasikiran beat Jorden van Foreest. Women: India beat Peru 3-1: K Humpy lost to Deysi Cori, Paula Parades lost to D Harika, Tani Sachdev beat Flor De Maria, Ann Chumpitaz lost to Eesha Karavade.